Select an available morning camp and an available afternoon camp. Camp will run from 8:30-4:30 pm. Lunch is from 12:00-1:00 pm. Be sure to send a sack lunch. There is no charge to stay for lunch. You can also add on Early Drop-off (starting at 7:00 am) or Late Pick-up (going until 6:00 pm) for $5 each per day. Select an available morning camp. Camp will run from 8:30-12:00 pm. If camper needs to stay until 1:00 pm you can register for Lunch Bunch for $5. Campers in Lunch Bunch will eat lunch with the all day campers. Be sure to send a sack lunch. If you need to arrive early you can register for Early Drop-off (7:00-8:30 am) for $5. Select an available afternoon camp. Camp will run from 1:00-4:30 pm. If camper needs to come early at 12:00 pm you can register for Lunch Bunch for $5. Campers in Lunch Bunch will eat lunch with the all day campers. Be sure to send a sack lunch. If you need to stay until 6:00 pm you can register for Late Pick-up for $5. Yes, it’s Spring Break!! What better time to run, jump, learn, and play while we enjoy some time off of school. Each day our campers will gear up for a fun “Staycation” adventure. We will enjoy becoming junior chefs, artists, and ninja warriors, while we play games, conquer new obstacle courses, scavenger hunt and more. Come enjoy your vacation at our Spring Break “Staycation” Camp, where every child is a “star”. We will plan on going outside (weather permitting). Please pack for the elements. All campers must be able to use the restrooms with no assistance. 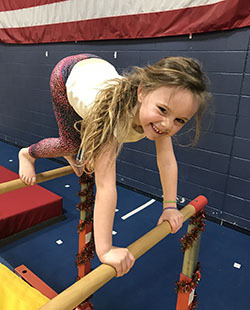 Camps are $33 for half the day, or $66 for a full day. Who is looking for FUN? We have a fantastic camp for you! Does your child get bored during their holiday break from school? Do they run around the house, up and down, and all around? Let them come run with us! 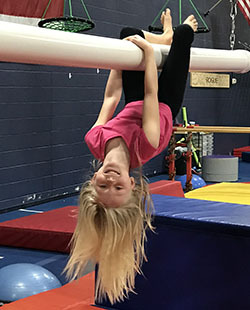 This camp is great for kids who just want to play. 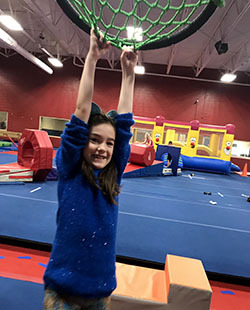 Campers will use all the gym equipment, mats and accessories available at Stars & Stripes to have a great time! 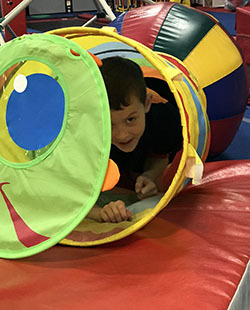 We have a jammed packed itinerary of fun that includes inflatable bouncers, forts, arts & crafts, outside play time, snowman building, hide-n-seek in the dark, and so much more! All campers must be able to use the restrooms with no assistance. Camps are $33 for half the day, or $66 for a full day.